There have been a few articles circulating about ADHD lately and I feel the need to talk about it. Primarily, the overall essence floating around on social media is that “ADHD isn’t real” and that our lives and lifestyles are contributing to a lack of focus – it has nothing to do with any disorder, it’s how a child is raised. While I do understand a bit of how this can be true having studied in depth the “nature vs. nurture” theory while in school, I also see from my own experience that raising two children less than two years apart in the same home with the same food and the same entertainment, schedules, pets and processes have given me one incredibly creative and highly intelligent child with autism and ADHD and another who is ALSO very bright, but appears to be completely normal. While I agree that physical activity, a decrease in simple sugars and a greater allowance for play can decrease some of the obvious markers of ADHD, making these easy changes also decreases the obvious markers of a bored and overstimulated, over-sugared child no matter what is going on inside their brain on a daily basis. To me, reducing ADHD to a series of simple symptoms that literally EVERY SINGLE CHILD experiences (hyperactivity, lack of focus, quick to distraction, easily bored, fidgety and bouncy) is exactly what creates these gross stereotypes and misinformation that cause that demonization to begin with. ADHD is NOT just about a child who has a hard time sitting still. It’s not just about the child who bounces his knee all afternoon or who daydreams and doodles on his paper during a lecture. It’s more than that and by reducing the complexity of the disorder to these simple, typical “child” behaviors, we are missing the point and the mark entirely. Another article floating around that I feel is most destructive discusses the viewpoint of a world-renowned doctor. He has several qualifications and letters behind his name that make him the upmost authority on this subject, so folks are going to listen to him. In fact, there is practically no higher authority on this subject due to his tenure at Harvard and the fact he’s considered one of the best since Jung (if you don’t know your psych celebs, that’s kind of a big deal). So, when Jerome Kagan speaks, his word is law to many in the business. Hrm… The only thing I have a problem with here is the misrepresentation of the article and this doctor’s analysis. Once you get to the bottom, you see he’s not really saying, “there’s no such thing as ADHD”, he’s saying, ADHD is over-diagnosed and doctors are treating symptoms instead of evaluating causes. He also complains that doctors are blanket-diagnosing children by using a blanket-statement that all children are evaluated when they do poorly in school. That may largely be the case, but not in all cases and not in our case at all. Liam’s evaluation appointment was made 2 months before he went into school because it was clear at a young age his brain was working on an entirely different level from most other kids his age. I’m also noticing his assumption that prescribing medication is a prime-motivator, which may be the case for others, but was not for us, either. Liam was evaluated and diagnosed without medication coming up as an option even once. Not even by Kaiser when we had him evaluated there before we had a private behaviorist follow up with a second opinion. The diagnosis was followed by a series of changes we could make in our home, including pulling him from public education, allowing him to learn the way his mind received information most effectively, working on diet, exercise, various therapy options… never medication. Most of all, I don’t like the article saying he thinks ADHD a hoax. This implies that parents who KNOW their children have developmental/behavior issues that affect their ability to learn are being taken for a ride and probably idiots who wear tinfoil hats. It immediately discredits parents and therapists who use this diagnosis. Instead of calling ADHD a hoax, let’s say what is actually going on, what he actually does explain in the article; that ADHD is more difficult to diagnose than most people believe and as a result, it can be misdiagnosed. Medication is used too often, as a way for the parents and teachers to cope with the behavior/learning challenges a child with ADHD faces. Some families strive to use that medication as a tool to be able to implement changes and processes that may actually have a greater, healthier and more powerful, positive impact upon the brain overall, but the sad reality is some do not. They use the medication and then they don’t have to worry about it anymore, they can go about their lives like “normal” with minimal intervention because, well, the meds work, so why go through all that? Mothers of ADHD children need to know there are support systems out there with real information and real troubleshooting techniques that can help. We need to know people see what we see and understand it. We don’t need to be told we’re crazy. We don’t need to feel like we’re not doing a good enough job at home. We do that to ourselves enough, alright? What we need… is to not have a fancy Harvard doctor or some school in Texas discrediting everything we are working for to normalize, educate and help our children achieve their goals in life. We need updated, accurate information, continuous studies that actually focus on brain patterns, food & chemical interactions and gut health. We need to know that the medication option is available as a last resort, but to have patient and fully trained therapists and physicians to walk us through the process of trying every other option first. It’s frustrating when people say, “oh well this is the hot new thing, everyone has Autism or ADHD now” as they roll their eyes when you tell them about your children. This perception is 100% WRONG. The reality is, ADHD is NOT a new thing. Doctors as far back as the 18th century have been talking about it, studying it, developing treatments for it and helping patients who struggle with focus/attention and processing challenges. Now, having said all that – I DO think it’s important not to just blanket the concept of ADHD as the end all be all of diagnosis and leave it at that. There is emerging evidence to support the idea that what we call “ADHD” is actually not just ONE disorder, but is comprised of several different disorders which, when teamed up, manifest as ADHD. This research can be found by looking up Richard Saul, a Chicago-based Neurologist and ADHD specialist. It’s an idea which makes a great deal of sense to many adult ADHDr’s and parents of children who have it, but his delivery of this insight. His research was published in a book called, “ADHD Does Not Exist”. When people who don’t understand and are LOOKING FOR A REASON to demonize ADHDr’s and their parents, a book written by a specialist called “ADHD Does Not Exist” is NOT HELPFUL!!! Another factor is parents feeling like a regular physician can diagnose their children or that a regular physician can diagnose an adult who feels they may have some ADHD symptoms. They can’t. 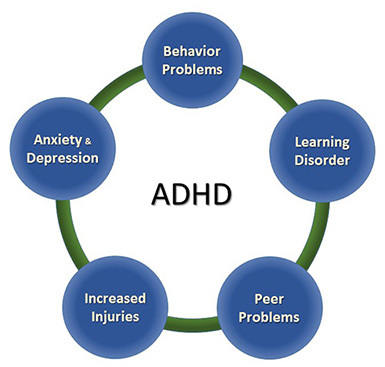 It takes hours of detailed testing and evaluation to properly diagnose ADHD. We need to stop believing it can be done in during a yearly physical. Bottom line; We need to stop this narrative. We need to put an end to the “shock verbiage” being used only to hook a reader because sometimes, it doesn’t hook them to actually read the article. All they read is the headline and that it was written by a neurologist, so it must be true. They take the headline and run with it, spreading the lie and perpetuating the misconception that ADHD is not a real thing. This, to them, means parents who claim their children have it are just lazy and probably don’t discipline. Oh, one last thing on the medication situation… if therapists would do MORE to make metabolic testing mandatory for ANYone receiving ADHD medication, we could easily rule out the issues of who has the “abnormal dopamine metabolism”. We need to demand more exploration, more testing of the body and analyzation of brain activity rather than just basically eyeballing a child and saying… “hmm, yep – he has 5 out of the 6 boxes checked, so it MUST be ADHD”. More testing. More explanation. Less demonization. Less automatic reflex reaction to medicate. What we want as parents is not acceptance and accommodation for our children. We want solutions so they can live in the real world in real time with their peers. Demonization and denial of their situation does not help us, or them, accomplish this. It only makes it harder. What are your thoughts? Am I way off? Sort of right? Where do you stand on this topic? Let me know in the comments!